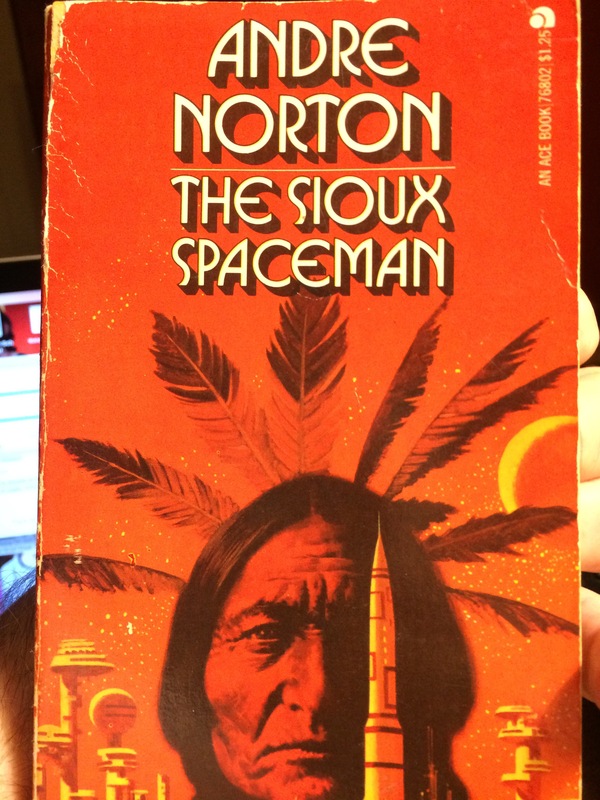 First off, “The Sioux Spaceman” by Andre Norton was written in 1960 when I was 12. Skip forward to a great many years and this paperback edition caught my attention on the $0.50 sale rack at The Book Nook, a local treasure house of primarily used books that I like to frequent. Knowing nothing about the author, I looked her up (yes, her) on the Internet only to find out that she was a science fiction and fantasy (along with a couple of other genres), but that she the first woman inducted into the Science Fiction and Fantasy Hall of Fame, among other awards (twice nominated for Hugo awards). She wrote for over 70 years having over 300 titles published. I also found it interesting that like another woman author S. E. Hinton, she was advised to publish under a male’s name to increase her marketability to young boys, the main consumer of fantasy. This entry was posted in Book Reviews, From The Homefront and tagged AndreNorton, bookreview, GuestReview on May 11, 2017 by redstarreviews.